That is how presidential aspirant Beto O’Rourke, a father of three, described how he and his wife are raising their three young children. His wife, Amy, he noted, is the one doing the raising. “Sometimes,” she has her husband’s help in the process. When I first saw the line, it hit like a gut punch. I wanted to believe that Beto just misspoke, or was caught out of context. That somehow he wasn’t prepared for the question when he launched his presidential campaign on Thursday. But then I saw that he repeated the line, for laughs, several more times when he visited Iowa after his formal campaign announcement. It wasn’t until several media outlets called his joke into question that he finally apologized for it, nearly four days after first delivering his little family joke and describing how he had to stop Facetiming with his children when he ran for the U.S. Senate in 2018, because the experiences drove his young children to tears, and they couldn’t actually spend time with their father. Fatherhood and politics can have a cruel relationship. When male elected officials talk about work/life balance or the need to spend more time with their children, they are attacked for showing they aren’t sufficiently hungry enough for the political game. For someone like Beto, who has also said he was born to run for president, the details of family can’t get in the way of destiny. Putting the priorities of family and his three children above political ambitions would be seen as weakness, and would have many questioning what skeletons he may have that he is worried about. After all, what man would sacrifice the White House for the home front? Years ago, when then-PepsiCo CEO Indra Nooyi or Facebook COO Sheryl Sandberg preached the need for women to sacrifice on the personal and family front in order to be the business and career success, we applauded them for doing whatever it took. Yet if a man were to say there is more to his personal success than his professional status, he faces scrutiny and potential ridicule. While Lean In continues to be an important lesson for those of us with daughters, particularly as we want them to see they can do anything with their lives if they set their minds to it and work hard, it is a message that buys into a cultural stereotype that continues to dog men in our modern society. And it begs us to engage in a national call for men to “Dive In” when it comes to their families. 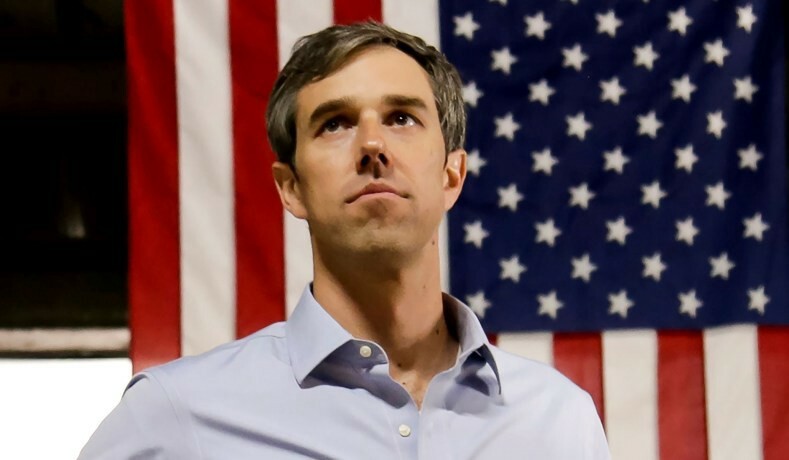 It calls for more fathers to ask the types of questions and wrestle with the same issues that Beto O’Rourke and so many others should be struggling with day in and day out. Historically, families were positioned with fathers as the primary “professional” and mothers caring for the family. The end of the traditional nuclear family nearly half a century ago began to change the dynamic. Single parent households and those where both parents work are now the new normal. But the gender stereotypes from the 1950s remain. We expect the male head of household to put career and the job first. He’s still expected to be the one to work long hours. He is the one to miss family events. He is the one on his smartphone the entire time he is at a little league game or a dance recital, if he can get to them in the first place. The time is long past for us to begin to refocus America’s men on what is truly important. We regularly speak of fatherhood, without fully appreciating what it really means. Even today, we equate being a good father with the ability to financially provide for a family. Pay the rent, feed the family, and watch a movie together every Friday seems to be nomination for Father of the Year. It shouldn’t be. Women may indeed need to lean in, but men need a new movement toward dadprovement, where every father can look closely at what is truly important and focus his time and energies on what really matters. Is it easy? No. Does it require tradeoffs? Absolutely. Is it for every man? No, but it should be. America’s fathers must stop making excuses for why we can’t be a larger part of our children’s lives and we must stop punting responsibility for our families to the women in our lives. We must spotlight those men who ask the right questions and make the right choices, seeking the right balance, and trying to do what is right for them and for those that truly love them. And we need to call out those men, like Beto, who use family obligations as nothing more than a punchline, contributing to the outdated stereotypes of family obligations being the primary responsibility of the mother. “Sometimes with my help” should never be a phrase that a responsible father uses to describe his approach to child-rearing, no matter how funny he thinks it might be. Instead, we need to ask why so many men feel they need to make such decisions, relegating their family obligations to “also ran” status. And we need more men asking how much family commitment is worth sacrificing for professional success.